So there are a few arcade games I just think are the best but for various reasons never get any love like the biggies (PacMan, Centipede, Asteroids, Space Invaders, Donkey Kong, Defender, Frogger, Q*Bert ....etc). Edited by thetick1, Sun Dec 30, 2018 12:17 AM. I'm not sure any of these games are really underrated...thought they are rather well known and respected? Of course not on the scale of the Arcade Super Hits, but still. I'd consider Mr. Do! underrated in relation to Dig Dug. I strongly feel that Mr. Do! is the superior game with deeper mechanics, but many people scoff and say it's just a Dig Dug ripoff with a lame clown protagonist. I would also list Donkey Kong 3 though it seems to be getting more appreciation in the past decade or so. For obscure games, I'd say Lasso, Time Tunnel, and Wild Western. Wild Western in particular gets a lot of hate on Youtube. It's not a bad game, though it can be difficult. Perhaps it's the loud train whistle that puts everyone off. Wild Western in particular gets a lot of hate on Youtube. It's not a bad game, though it can be difficult. Perhaps it's the loud train whistle that puts everyone off. Wild Western is a good game. My suspicion is that the people who are giving it a hard time are playing it in emulation, and it's a game where it really only plays well when you're using the original controls; Front Line falls into this category as well. 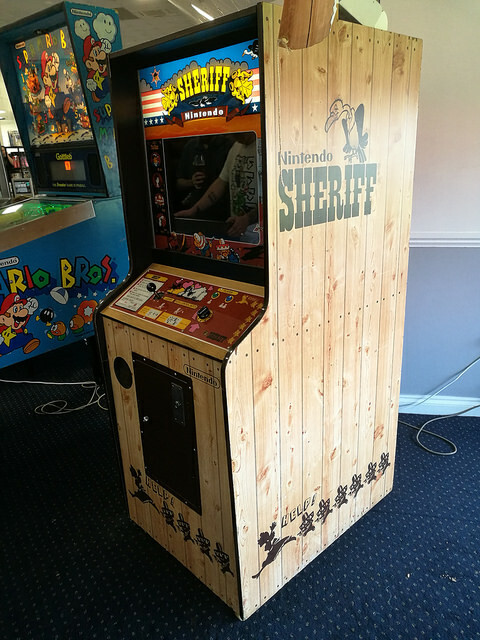 I've actually never had the pleasure of playing Wild Western on the original cab. I first discovered it on the Taito Legends PS2 disc. I find assigning a button combo for the aiming to work pretty well for me. I set it up so you hold button 2 while quickly pushing a direction on the joystick to change your aim. The game isn't as fast paced as say Robotron where you need to constantly be shooting in different directions so the button combo isn't that bad. I'd still love to play it with the dial though. Edited by Ramses, Sun Dec 30, 2018 4:06 PM. I'd go wth Black Widow and Discs of Tron. Both are favorites of mine, but never got the notariety of some others. Mad Planets, imo, the best game no one's ever heard of. Well maybe I should have picked some better wording. Obviously the games I listed are very well know by almost everyone here. What I should have said is what games don't get mainstream pop culture love like the biggies do. For example my wife nor my parents ever heard of the four I listed. Edited by thetick1, Sun Dec 30, 2018 7:46 PM. I guess I get it, but perhaps there's limited space for videogames in mainstream anyway. Only a few will filter through, and it's all about seizing the moment too - mainstream folk wouldn't care much if Mr Do! had better mechanics than Dig Dug since the latter had already filled the quota. Also the classics you listed in the OP were from the dawn of videogaming, later on they had to jostle for the limelight with computer and home console games. Personally I consider 90% of arcade games underrated (along microcomputers) in the modern sense, where the stranglehold of the big 4 (NES/SMS/SNES/Genesis) on retro gaming in general is kinda tiresome. I’d like to know if anyone has either seen or played Shuuz on actual unit. Talk about a niche game! I agree Donkey Kong 3 is often underrated.. because people think of it in terms of "Donkey Kong", when it really is a cartoony Nintendo take on Galaxian/Galaga style games. Star Force I think should be a legendary game in the shmup genre, but it seems to get forgotten a lot in people's lists. So I'd count it as underrated. 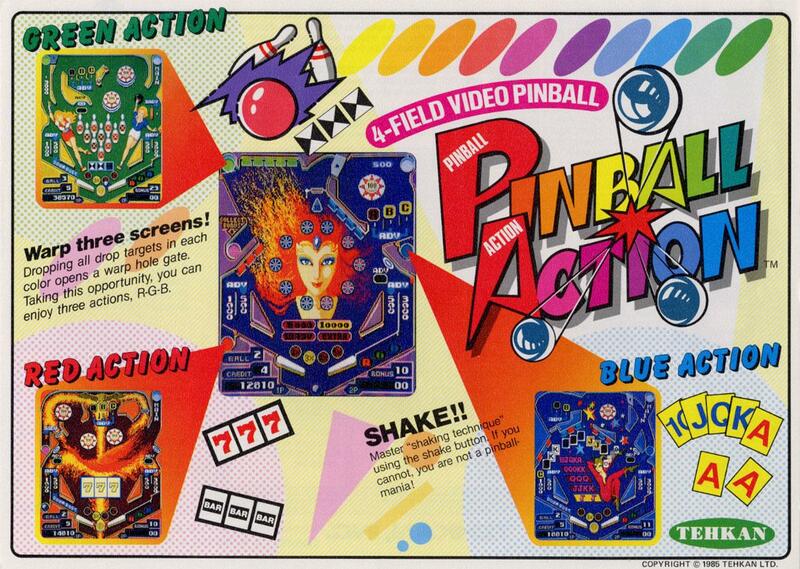 Pinball Action is also an underrated game in my book.. I put in many hours playing it as a kid and trying to visit and beat all the playfields with the Poker, Bowling, and Slots themes. Great fun. And yeah it's really too bad about Wild Western.. there's just no easy way to really duplicate those controls at home (i.e. a dial you can rotate and press to shoot, and a button to jump on the train). I used to really like that game but find playing it emulated just doesn't cut it. Speaking of dial games.. Sheriff sure was a beaut. Edited by NE146, Sun Dec 30, 2018 10:52 PM. Keep em coming. There's a few suggested here that I'd like to try on Mame on my NES Classic. Id like to know if anyone has either seen or played Shuuz on actual unit. Talk about a niche game! Shuuz was conversion only but yes, I've played one. Also had one pop up locally on craigslist a couple years back. Damn - you just beat me to it Jumping Jack is a lot of fun, and always seemed to me like it could have been the 5th game in the Mr. Do! series with some graphics tweaks to the sprites. I'm with you 100%. Phoenix is in my top 5 favorite arcade games, all time. It definitely hasn't seen enough love on the home consoles and I've also been hoping for 7800, NES or Colecovision homebrew ports, especially 7800 and NES. In fact NES needs more homebrew arcade ports period but I understand most homebrewers who are NES fans are also fans of different genres than arcade games. Prior to Mega Apocalypse on the C64 , i had never heard of Mad Planets. Edited by Lost Dragon, Tue Jan 1, 2019 8:04 AM.